I sat in the middle of the sweet church ladies and opened gift after gift. It was my very first church bridal shower at Harmony United Methodist Church. Between oohs and aahs, I was handed a perfectly shaped oblong box. Suddenly, silence fell over the older church circle ladies. Holding that box, I knew something special was fixin’ to happen. Tearing back the paper revealed the gift. It was a slab of shellacked, stained wood with lots of drilled holes. In a separate clear plastic bag were several wooden pegs. At first glance, I thought it was a larger version of that peg game that is placed on every table at the Cracker Barrel restaurant to test intelligence. Was this a king-sized version for the less intelligent? Fear gripped me. I had never made a casserole in my life and I had to cook for the entire church—plus meet the approval of the church circle ladies? 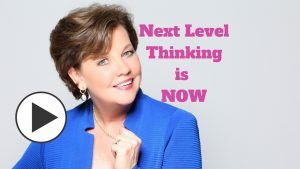 I could hear my judgment when I reached heaven, “Well… it was not done, my domestically-challenged servant….” I could tell this was a disaster waiting to happen. But fear NOT, I learned a few tricks for mastering the highly coveted covered dish endeavors. First, one must have the dish present at least 15 minutes prior to the meal. You see, what happens is if you are late there will be no room left on the main table and your dish will be stuck on the back table and, heaven forbid, forgotten. Plus, the ladies like to theme the table with fried everything first followed by: ham casserole, then vegetable casseroles, starch casseroles, then the fruit casseroles. But the most heinous of events is the shame of your dish standing alone with just enough spooned out that it has been marked with the silent message; this dish is not fit for human consumption. But I was fortunate. My initials are JH and lucky for me so are my mother-in-law’s and my awesome aunt, Josie Herlong. Both of these ladies were amazing cooks. So in great big letters, I wrote on the side of my glass dishes, JH. I tricked the masses into thinking that Jewel or Josie were the culinary artists. Well, the years have passed and both of these wonderful women have departed. So I cooked up another scheme. I stand over my dish and proclaim, “Wow, this is so delicious. Y’all need to get some of this before it’s gone.” Plus, my sweet Caroline always helps out with a sympathy serving. We soon discovered why—instead of topping his meal with Parmesan cheese, Uncle Frank mistakenly used powered cream. In another incident, one of our older members accidentally baked a potholder into her pineapple casserole. What I cherish the most are the memories that were made sitting and laughing with good, country church folks who love and serve each other beyond the meal. No doubt the best ingredients are faith, family, friends and fellowship. 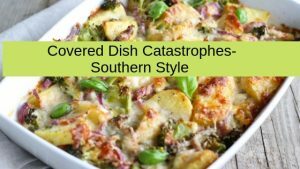 Share this with others who may need a good laugh about their own covered dish catastrophes-southern style.